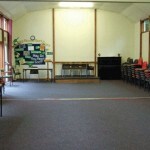 A comfortable, carpeted Church hall, a kitchen, toilets, an additional small private room and its own car park. 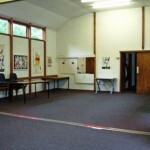 A small private room with a table and chairs, capable of seating up to 6 people. Varies depending on group status. An hourly rate on a sliding scale.